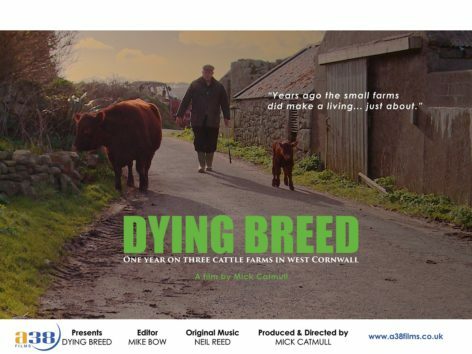 A year in the making, shot on three small cattle farms in west Cornwall, Dying Breed is filmmaker Mick Catmull’s love letter to a disappearing way of life. The film paints a no holds barred, poignant, at times tragic portrait of three aging farmers seeing out their days with the knowledge that after their passing, their land will likely be sold off to big growers land speculators or city bankers fancying a bit of hobby farming. Dying Breed avoids the use of commentary. We hear only the voices of farmers, their families, and members of the Cornish farming community.